Notification with the passing of retired PNA/WA/DL pilot Captain Alan Lance Leineke, age 80. 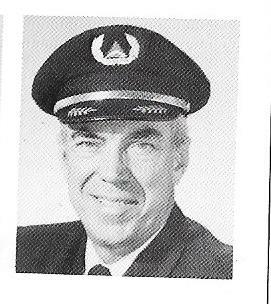 Captain Leineke joined Pacific Northern Airlines 03-15-1965 and retired with Delta Air Lines, based ATL. A Celebration of Life event is planned for this Sunday, April 22nd at 2:00 PM, at the Farmhouse at Waterfall in Georgia. http://www.vincesfarmhouse.com/ as noted in obituary information below. Venue phone number : 706.782.9834. As more information is received we will be sure to pass it along. Alan L. Leineke, a resident of Clayton, died April 4, 2018. Al had a work ethic that propelled him through life. One day years ago in Barbers Point, Hawaii, where Al was a naval photographer he was flying with a rather bored Officer pilot who told him to fly the plane. He knew nothing about flying but with a little coaching from the pilot that interchange was enough to have Al realize his dream of being a pilot. He began taking lessons while still in the Navy, later, he joined the Army as an aircraft mechanic and obtained his instrument and flight instructor ratings. After being discharged from the Army Al went to work for Pacific Northern Airlines (PNA) as a cargo handler and from there was promoted to pilot after achieving the required licenses and hours. PNA merged with Western Airlines, who later merged with Delta, the company from which Al retired some 36 years later. As a pilot, Al served in many additional roles for Western and Delta; simulator and flight instructor, line check airman, and flight manager, he also helped launch the MD-11 aircraft into the Delta fleet. A time came in Al's life when the fast lane got to be a bit more than he could handle. So, he took it upon himself to take positive action to turn his life around through a program called Alcoholics Anonymous. He did so in spectacular fashion, while helping himself he helped others with addiction problems, this became one of his greatest accomplishments. He was paramount in establishing intervention programs for private industries, the Airline Pilot's Association and the airlines. During Al's life he helped hundreds, if not thousands, of people through recovery. For years Al maintained an extensive email list to which he sent out daily inspirational quotes. Born January 14, 1938 in Berkeley, Calif., Al grew up mostly in the Sacramento, Calif. area. His career took him around the globe and he made his home in many cities across the U.S. finally coming to rest in Clayton, Ga. It was among this community that Al made his last impact. He was a spiritual man, but not religious and was fascinated with our great Universe. Al was larger than life to many of us, and so it is only fitting that on April 4, 2018 he left to spend eternity in the vastness of the cosmos.